Today is Day One for Formula One – the start of a new count of days since the last driver death. A huge run of reforms and developments across all areas of Formula One safety occurring over the two decades since the last on track driver death made it seem like the modern sport produced indestructible racers. The last career ending crash, by my count, was Luciano Burti’s barrier-spearing shunt at the Belgian Grand Prix in 2001. Alonso in Brazil, Button in Monaco, Webber in Valencia, even Kubica’s mammoth accident at the ’07 Canadian GP all demonstrate the improved safety standards which allowed all aforementioned drivers to survive their big impacts, usually with only a bruised ego to lament. So for a driver to die in this environment is shocking. As with Senna and Ratzenberger’s deaths 21 years ago, we must use this tragedy to work out the kinks in safety, to ensure we limit the chances of another death as much as possible. But in contrast to other fatal crashes, we cannot blame a fault with the cars or the driver protection. Bianchi’s death was a freak accident. No protective equipment, perhaps not even cockpit canopies (which may have become inverted during the impact and caused further injury) could have saved Bianchi from injury when he hit the back of the JCB removing Sutil’s car in the rain in Suzuka. The matter lies with car removal procedure, a method which Martin Brundle has spoken against since – in a spookingly ironic twist – he had his own near miss with a tractor in the same spot during the rainy 1994 Suzuka Grand Prix. I won’t go explaining the different things F1 can do – and has done (Virtual Safety Car, for example) – to improve again on the safety of the sport. That’s for another article – or the countless articles which have been written since Jules’crash nine months ago. Today we mourn for the loss of a racer. The loss of an otherwise certain future Championship challenger. The loss of a popular, enthusiastic young man with an infectious smile and a love for the job he lost his life doing. But as we struggle to overcome the shock of his passing, we must keep the Bianchi family in our thoughts. 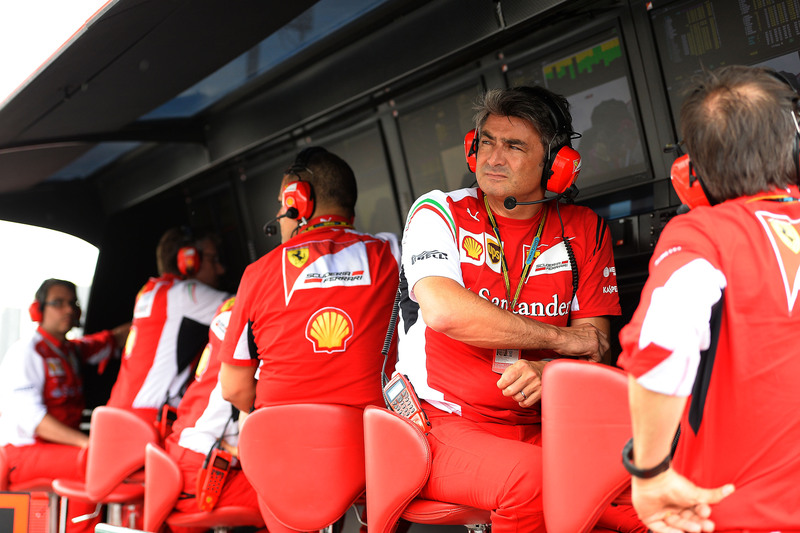 Phillippe Bianchi, Jules’ father, recently spoke out about Jules’ condition in hospital. He hated his son’s quality of life and insisted that the condition was “worse than if he had died” in the crash. Today, although grieving for the loss of their child, the Bianchi parents can begin to move on and mourn their son – rather than endure the daily torture inflicted upon them during Jules’ nine months in hospital, where though breathing unaided, he never regained consciousness. Although cruel to admit, what undoubtedly makes this tragedy that much tougher is who it happened to. 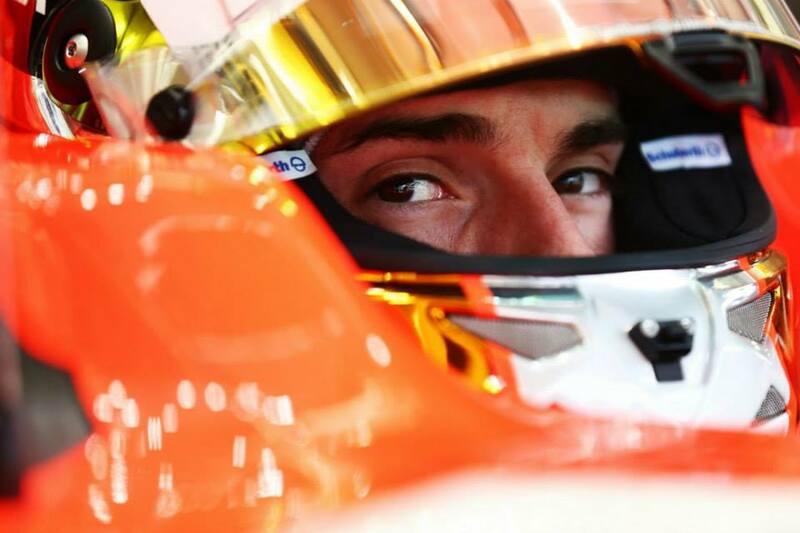 Bianchi’s talents had been blatantly obvious for many a year, even before he ran circles around his backmarker colleagues when racing for Marussia. The obvious highlight of his career will forever be scoring points from the back of the grid for Marussia – in the worst car on the grid. It was a drive reminiscent of a young Ayrton Senna or Gilles Villeneuve. His talent was obvious, and with Jules testing for Ferrari during last year, it appears that he may have been replacing Kimi Raikkonen at Ferrari when the Finn’s contract runs out. With a seat on the Prancing Horse I believe Bianchi would have been the first French Champion since his compatriot Alain Prost snatched his fourth and final Championship in 1989. Instead, on Tuesday we bury our first driver in 21 years and Formula One will come together as a community to mourn the loss of one of their own. Formula One will never be safe – that’s part of the attraction for the men who race – but hopefully it will become even safer. For now, Ciao Jules. Rest in Peace. When the Circuit of the Americas held its inaugural Grand Prix in 2012, it was half expected to amount to nothing more than an addition to the long list of unsuccessful attempts at establishing a permanent home for F1 in America. I explained the interesting love/hate nature of America’s involvement in F1 in a blog for American Independence Day in 2013, which you can read here. With that backdrop considered, the Austin Grand Prix was expected to be yet another venue which tried and failed to attract an American audience. In contemporary Formula One, that is to say the years since Ayrton Senna’s death twenty years ago, circuits tend to feature dull uninspiring and uniform sections and long straights, surrounded by large run-off areas – a trademark of F1’s resident designer Hermann Tilke. In the 21st century, F1 has had ten new tracks added to the calendar. Of these ten, only six remain – and judging by the forgettable showing at the Russian Grand Prix a week ago, that number threatens to fall to five in the foreseeable future. The older, classic circuits – such as the Nurburgring, Monza, Silverstone, Suzuka and Spa – prove to be fan favourites and usually host enthralling racing in legendary backgrounds. Meanwhile, the newer circuits tend to hold pretty basic races. In 2014, Bahrain opted to run a race under floodlights and the resulting race was arguably one of the best in the sport’s history, albeit at a track which rarely excites. I would suggest, however, that this year’s success was due solely to the pairing of two equally able Mercedes drivers to provide wheel-to-wheel fights, and not to the fact that the race time was delayed by several hours. Taking the Russian GP as an example, it is formulaic and can be taken section-by-section as cut-and-paste copies of other tracks – namely Valencia, Istanbul, Yeongam and Yas Marina – which debuted in 2008, 2005, 2010 and 2008 respectively. As if to prove the unpopularity of modern circuits, three of the four listed Grand Prix venues no longer host a race. Also, Russia’s completely forgettable debut race, although playing host to a hugely important race recovery by Nico Rosberg, who drove from last to second after a first lap lock-up and pitstop, serves to show how dull the newer circuits can be. Why do these new circuits, with lots of money but little audience, consistently fall down in comparison with the legendary tracks, which boast full crowds but have relatively little money to throw at hosting the F1 circus? Perhaps it is exclusively down to the fact the newer circuits are indeed less interesting and leave a lot to be desired. Perhaps there is also a fear that the new circuits will buy the classics off the calendar, thus smashing through F1’s history and distancing ourselves from the romantic past. For whatever reason, though, there is little expected of newer circuits. This, combined with the troubled past our sport has had in the USA, only went to shock us when the inaugural running of the Austin Grand Prix went down a storm – with it’s second showing meeting a similar positive reception. The track layout sounds like yet another typical Tilke template, with its triple left-right sequence in Sector 1 and its 1km straight dominating sector 2. And, indeed, Tilke served as an advisory designer during COTA’s construction. But fortunately, COTA did not produce the same run-of-the-mill racing as some of its sister tracks. The triple left-right section is inspired by the tricky first sector of Suzuka and is almost as popular. And in the era of DRS, where straights tend to provide far too easy an overtake –take the long straights at Korea, India and China, for example – COTA has perfected the construction of its straight so that time and time again we are treated with wheel-to-wheel racing in the braking zone of, and out of, the straight – rather than halfway down the straight seeing a driver breezing coolly past a colleague. Amid a myriad of modern and largely unexciting venues, COTA stands tall above them, as its trademark observation tower stands above the track. 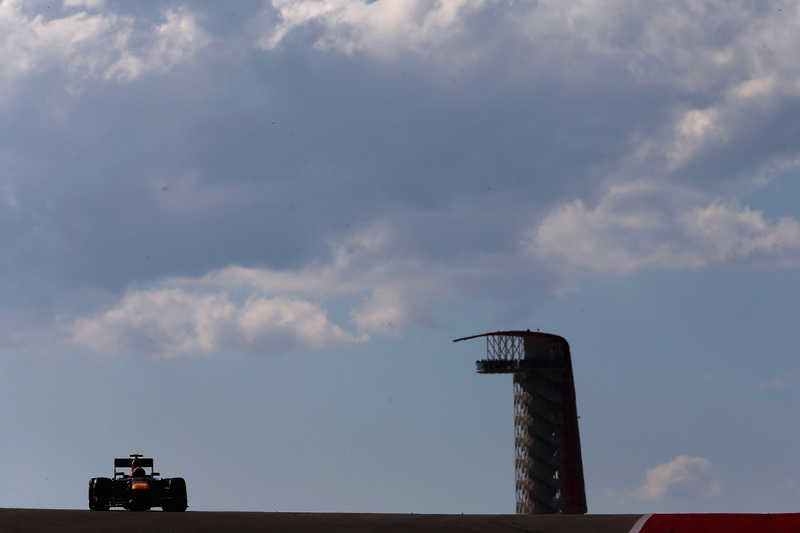 Although too early to claim unreservedly that COTA is here to stay, its instant positive reaction from fans, media and drivers signals a bright future for Formula One – both at COTA and in America. Image courtesy of Red Bull/Getty Images. More than 48 hours have passed since Jules’ accident on Sunday and I’m still effectively speechless. Whenever I try to talk to someone about the accident, I find myself repeating the same words: “horrific”, “freak accident”, “tragedy”, and so on, before my voice trails off and I find that I’m incapable of expressing myself. Similarly, I struggled to put my thought into writing here. On Sunday, I wanted to write something but, after loading WordPress, I found myself staring vacantly at the screen, my hand hovering over the keyboard waiting for direction, but my thoughts instead focused on how shocking the crash was for me and the F1 community in general. In 2014 we marked the twentieth year since the deaths of Roland Ratzenberger and Ayrton Senna at the San Marino Grand Prix. You’ll know, I’m sure, that they were the last drivers to lose their lives at a Formula One race meeting. This year we also patted ourselves on the back for the very fact that no driver has died on a race weekend in over twenty years. Granted, we’ve come close. In the months after Senna’s death, F1 witnessed the crashes of Karl Wendlinger, Andrea Montermini and Pedro Lamy: three crashes which could very easily have been fatal, and which left Wendlinger in a coma for several weeks after his shunt at the chicane in Monaco. In 2001, Luciano Burti suffered a near-fatal crash when he collided with Eddie Irvine at the Belgian Grand Prix and hit an unprotected tyre barrier. In 2009, Felipe Massa was hit by the spring of Rubens Barrichello’s Brawn GP car, which hit and penetrated his helmet at a weak point, knocking him unconscious and sending him into tyre barriers. I began watching Formula One a year later. Since then, we’ve seen several titanic crashes, all of which have had no serious outcome, except perhaps to give a driver a bad name. Mark Webber’s flip in Valencia 2010 saw a lucky yet easy escape for the Aussie. In 2012 Alonso came within millimetres from death when Romain Grosjean’s Lotus flew over his head. 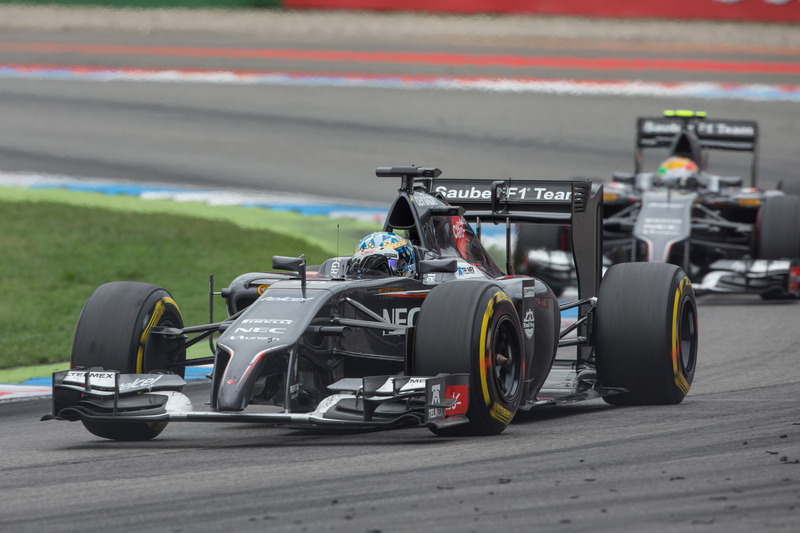 In 2014, Esteban Gutierrez flipped several times following contract with Pastor Maldonado. In the case of Alonso and Gutierrez, as both drivers sat motionless in their cars and the cameras panned out, for fear of showing the gruesome details of what could prove to be a tragedy, I sat in fear of witnessing my first serious on-screen crash. But the racing gods spared both men, and they quickly reacted suitably, giving a thumbs-up, or looking around in confusion to figure out what the hell had just happened. These events trained me to become comfortable in the fact that Formula One is a safe sport. I’ve written articles in the past about dangers in the sport pre-1994, or dangerous behaviour by teams or drivers in contemporary Formula One. I’ve also written about changes in Formula One safety since ’94, and how, although our sport is far safer now, it is still dangerous. After last weekend’s events, I’ve realised how loosely I typed the words. Although acknowledging the ever-present danger in Motorsport, I had never put major thought into the realities. I was talking with near levity. The Bianchi incident has brought me kicking and screaming back to reality. We have become too complacent in F1. Max Verstappen, who made his debut at the Japanese Grand Prix last weekend, wasn’t even alive when the last driver was killed. It’s a new generation, and – or so many thought – a whole new ball game. Although what happened to Jules Bianchi was just the most unfortunate series of isolated incidents coming together, it showed that there are loopholes in the safety of our sport. A tyre explosion, as happened several times last year, could kill a driver. Indeed Kimi Raikkonen was very fortunate to avoid the carcass of Jean-Eric Vergne’s tyre when it exploded in front of him in Silverstone last year. Again this year, Kimi was lucky to survive a crash when he went off track at Silverstone and rejoined in the middle of the pack, causing Felipe Massa to slam into him. A tyre – this one intact – bounced away from the collision and missed Max Chilton by inches. This too would have likely seriously injured, if not killed, Chilton on impact with his helmet. Chilton was also hit by a missile launched by Kimi Raikkonen’s Lotus at the 2013 German Grand Prix. It hit the zylon strip above his helmet visor, which was implemented following Massa’s aforementioned crash. Although it would not have killed him without the zylon strip’s development, it could easily have caused a big head injury. Had Romain Grosjean’s car travelled two centimetres lower over Alonso’s car in Belgium 2012, Alonso could have suffered severe head trauma. Had Rosberg’s car rolled when it was launched over the back of Narain Karthikeyan’s HRT in Abu Dhabi 2012, it would have hit the barriers upside down and rendered the roll bar useless as his head would bear the brunt of the impact. As you can see, the only exposed part of the driver, the head, is coming into danger more than we realise. Nowadays we laugh off crashes and show them to our friends to demonstrate how crazy F1 can be. Risk is a big part of the show and one of the reasons both drivers and fans alike are drawn to it. But steps must be made in the wake of this incident. The Grand Prix Drivers’ Association has already warned against knee-jerk reactions, but yet advances in safety that exclude coating the drivers in bubble wrap must fully be encouraged. For example, the use of JCBs must be reviewed. In Ireland, trucks have a barrier running underneath the back of them to stop drivers accidentally driving under them. Perhaps a similar device could be fitted to JCBs, or perhaps a shock-absorbing material running along the bottom of the JCB, meaning that: a) cars can’t drive under them and b) if a car does hit one, some energy will be dispersed. Had such a barrier existed on the back of the JCB on Sunday, Bianchi would not have been able to go under the JCB at head level, with such force that it launched the back of the tractor off the ground. Obviously this is what some would call a knee-jerk reaction, but something must be changed about the recovery vehicles if we are to keep using them. Another system which could be used simultaneously is to implement speed limiters, as exist in Le Mans. This limits a driver to a top speed – say 60kph – in a yellow flag zone. As speeding is being discussed as a possible cause for Bianchi’s crash, this is definitely something which should be considered. Jacques Villeneuve has called for Safety Car periods every time a car is to be cleared away, but this is simply not realistic. This would lead to far too many stops and starts – especially with the new safety car re-start rule being implemented. The speed limit is a much more feasible option. Another possible solution being thrown about even more is the introduction of cockpit canopies. I’m opposed to these for a number of reasons. To start with Bianchi’s example, the extensive damage to rear of the Marussia and the super-strong roll bar means a canopy would probably have been obliterated. Perhaps, depending on the design, it could even have collapsed inward into the cockpit, squashing Bianchi and adding to his already severe injuries. In other situations, such as when Kovalainen went underneath crash barriers at Catalunya in 2008, it could hamper rescue efforts. Then there are situations revolving around the electric ERS pack in the car, or fires in the cockpit. The regulations make it mandatory to be able to conduct a cockpit evacuation in a maximum of 7 seconds. A canopy would hamper a quick exit, and – in the case of a fire or electrical failure – could in fact trap drivers in the cockpit. All-in-all, these are not a viable solution. I’m not a safety expert – and don’t wish to appear as such. I trust that the people in F1 whose job it is to be experts are experts though, so I will leave it to them. But to return to my point, Formula One needs to do as much as it can to close the apparent loopholes. Without the aid of cockpit canopies to deflect flying objects, perhaps a drivers head cannot be protected any further. The helmets, as Bianchi’s intact helmet proves, are incredibly tough. The cars are also very safe: they are always destroyed in big impacts, taking energy out of the crash and leaving only the important survival cell completely impact. They are perfectly designed (and rigorously tested) to ensure that when landing upside down, hitting one another, or having high impact collisions with barriers, they do their job incredibly well. Therefore, the safety weaknesses I see are only in the procedure of removing cars that have left the race, or trying to further protect the head. We know F1 will do it’s best to protect it’s drivers, which is perhaps the thing that F1 is best at organising. 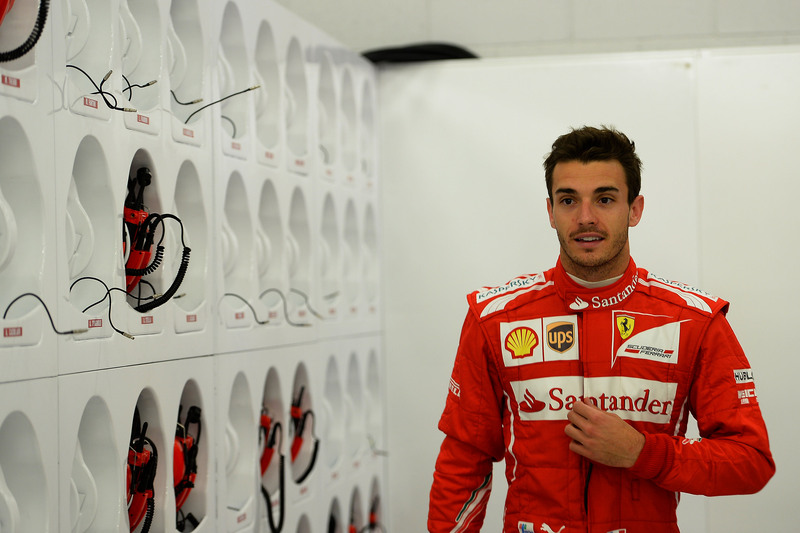 But, for now, our thoughts lie with Jules Bianchi who lies in a critical condition in hospital. We should continue to hope and pray for his successful recovery and keep his family, friends and colleagues in our thoughts today. Image courtesy of Marussia F1 Team. A recent meeting of the F1 Committee threw up some good rule changes for 2015: pre-season testing limited to Europe, two in-season tests instead of the four scheduled for this year, both to save money, and the proposed ban on tyre warmers has been temporarily thrown out. However, in keeping with Formula One tradition (see the double points rule for more), a completely silly idea was floated and then ratified. Someone in the F1 Committee came up with the not-so-clever idea of changing the Safety Car restart from a rolling one into a grid start. So, instead of bunching up and shooting away when the Safety Car comes in after an incident, the grid will roll onto the start/finish straight and stop, wait for the five red lights to come on and go out, and then race away as if at the beginning of a race. First of all, it completely defeats the purpose of having a Safety Car. The idea of the Safety Car is to neutralise the race: to slow the drivers down and keep them bunched up so that the marshals can come on track and clear away cars, pick up debris, put down cement dust or whatever work needs to be done, without having to interrupt the race. That sounds like a good idea. It’s both safe and practical. Now, however, the plan is to have the drivers weave around for several laps while the marshals work only to then stop the race and restart it again. It seems like only in F1 can such idiotic ideas become a reality. Essentially, we’re going to waste time behind a Safety Car before adopting a restart you’d see after a red flag. Common sense? No, not here. I can see why it would seem like a good idea: the race start can be the most exciting part of a Grand Prix (especially at Grands Prix like Korea and India, both of which were particularly stale, but have since been abandoned by F1). A bit like Christmas, standing starts are better when spread out – one per race will do just nicely. Of course, Safety must also be considered. 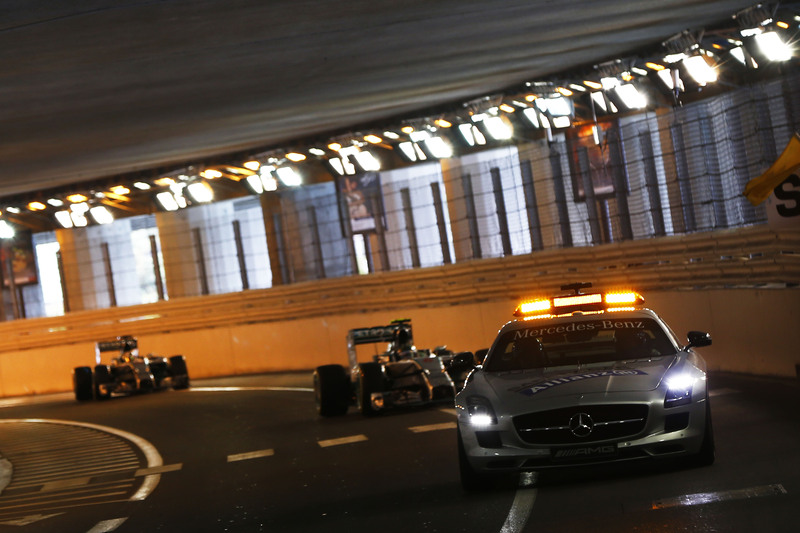 Admittedly, there have been some close calls behind the Safety Car (see Sebastian Vettel’s fake re-start behind the Safety Car in Singapore, 2012). On the other hand, the chance of a crash behind the Safety Car is infinitely less than the probability of a shunt on the first corner after a standing start. Think of Monaco, Monza or Spa – all tracks where it’s almost guaranteed that there’ll be a first corner crash. A Safety Car would only go to increase the chances of crashes, where Formula One has spent the last twenty years working incredibly hard to reduce that number. Reportedly, though, in the interest of safety, the race director can pick and choose when he wishes to do a rolling restart or a standing restart. It’s getting sillier by the sentence, isn’t it? If Formula One really needed this rule, it would be in place constantly. The fact of the matter is that Formula One does not need the rule. It seems to me that the F1 Committee are simply trying to flex their muscles: prove that they’re not a useless organisation, and be able to brag that they brought around this rule and that rule etc. It’s a power trip rather than a genuine effort to make F1 better. So, for me, this is a rule which should not have been even considered, never mind ratified by the World Motorsport Council. Nico Rosberg and Daniel Ricciardo – race winners this season – have come out in criticism of the rule-to-be. The proposal adds nothing to the sport but only serves to agitate the fans and break up the racing. Scrap it, please. Image courtesy of Pirelli/Andrew Hone. The tragic events of the 1994 San Marino Grand Prix were the first significant time that the hidden horror of Formula One played its course in front of the TV cameras. Although F1 had always attracted the attention of the media, the battles between Ayrton Senna and Alain Prost in the late ’80s and early ’90s acted as a catalyst to increasing the number of casual viewers as the home entertainment idea came into its own. This meant that millions of people across the world had a clear view of Roland Ratzenberger’s horrific crash, including the abortive efforts to resuscitate the Austrian as he lay beside his stricken Simtek. Similarly, and undoubtedly more poignantly, viewers were given close up shots of the equally futile attempts to save Ayrton Senna as he too lay beside his Williams following his fatal crash. The radical changes brought in across Formula One following this fateful weekend would understandably lead one to think that a driver had never lost his life in the seat of an F1 car before. The sad fact is that many had. The brilliant Jim Clark, for example, was killed during a F2 race when he hit a tree in Hockenheim. Wolfgang von Trips and fourteen spectators died when the German’s Ferrari hit a barrier after getting airborne, throwing Trips from the car. Francois Cevert was killed instantly when he crashed at Watkins Glen in 1973, after his car went under and uprooted the trackside barrier. Roger Williamson was killed earlier that season when his car caught fire following a flip, and left him trapped upside down as he screamed for help. His cries were heard only by fellow racer David Purley who tried in vain to save his colleague, who was finally pulled from his cockpit by paramedics, several minutes after he had choked to death on the fumes. These four crashes, as horrible as each one was, did not prompt any safety reform. On the contrary, Jackie Stewart was ridiculed for his attempts to stop the slaughter of drivers in his era. One joke of the time was ‘How do you get to Jackie Stewart’s house? Simple: follow the Armco barrier’. The attitude to safety of the time would have been laughable, if not so serious. This nonchalant disregard for safety was part of the contemporary view of a racing driver, with nerves of steel. In fact, quite the opposite was true as the aforementioned Purley admitted to resorting to his paratrooper training and screaming in his helmet to give him the mental ability to keep the accelerator down at times. This view of the driver was surely part of the reason for the simple shrug and carry on approach to fatalities in the early F1: death was almost as common as a Mercedes victory in contemporary Formula One. However, whatever the view of the racing driver was in 1994, change was coming for safety. Rather crudely, Max Mosley’s motive for pushing the wheels into motion was the potential fallout of a fatality on the screens – whereas formerly a driver would die and would only be spoken about by small numbers of people, a driver death would now be written about and broadcast in nearly every country across the world. This fear was further heightened following the harrowing crashes of Karl Wendlinger, Andrea Montermini and Pedro Lamy in the few months that followed: three crashes which could very easily have been fatal, and which left Wendlinger in a coma for several weeks after his shunt at the chicane in Monaco. Subsequently, Mosley approached Dr. Sid Watkins and gave him the permission to do what he had been earnestly trying to do since taking up his position in the sport – make F1 safer. His campaign to that date has been as slow and laborious as that of Stewart’s before him. One of the most important developments to safety came with the application of science. Things are no longer done randomly. Hypothesis are being created and then tested objectively, which generates data that either verifies the hypothesis and leads it to being refined, or disproves the hypothesis which leads to it being thrown out. An example of science at play would be a corner where they know that the speed will be, say, 180kph. They know that from the sharpness of the corner and the speeds at which it will be taken, they will need, say, five rows of tyres (or TecPro barriers, more on these later) to be put at a corner. The tyre barriers dissipate energy and means that a driver no longer hits a concrete wall, a development which would have saved Roland Ratzenberger’s life. Also used to take energy out of a crash are the TecPro barriers which I mentioned earlier. These fantastic creations are best noted at Monaco where they have played an important part in four crashes over the last three years. In 2011, Sergio Perez famously crashed at the Nouvelle chicane and was knocked unconscious. In that case, he sustained a fully lateral impact from the barriers, which are designed to crumple around the driver. Although he was still concussed and admitted to feeling the after effects of the shunt for several races, his consciousness that evening proved that the TecPro barriers did their job – when Wendlinger hit water filled butts (which were supposed to act as energy absorbing devices) at the same spot in ’94, he was in a coma for several weeks. In 2013, TecPro twice absorbed the energy of Felipe Massa’s Ferrari at turn 1, as well as Pastor Maldonado’s shunt at the alarmingly fast Tabac section. Of course, TecPro barriers are not the only thing to have risen from the ashes after Imola: features such as the Zylon strip above the helmet visor almost certainly saved Felipe Massa’s life when he was struck by a spring from Rubens Barrichello’s Brawn at the Hungaroring in 2009. Fernando Alonso was similarly probably saved by the raising of the walls of the cockpits: although it initially angered fans who could no longer peer into a cockpit, it provided essential protection against Romain Grosjean’s flying Lotus during the first corner crash at the ’12 Belgian GP. All-round stricter crash testing meant that the shell of Mark Webber’s car did not crumple like a page when he landed upside down in Valencia, flipped over and hurled into the barriers. The introduction of an extra tether to keep the wheel attached to the cars saved Kimi Raikkonen from taking the full force of a Michelin to the face, at the Nurburgring in 2005 after his suspension failed. Obviously, Formula One will never be completely safe. Dr. Gary Hartstein, the former F1 doctor, believes that preventing cars from getting airborne is the last big nut to crack in terms of safety, and a mutual belief by the FIA institute led to the introduction of the new lower nose cones. Gary also sarcastically points out that there is currently nothing to protect a driver from a meteor falling from space. All-in-all, however, the fact that today brings the twenty-first year with no driver fatality is due to the horrific events in Imola and the subsequent scramble to ensure that nothing like that would ever happen again. As I’ve said, Formula One can never be safe – for most of the competitors an absolute safety would take away some of the adrenaline – but the overall standard of safety is so high that the work of the late Sid Watkins and his team means that we will hopefully soon be celebrating fourty years without a fatality.